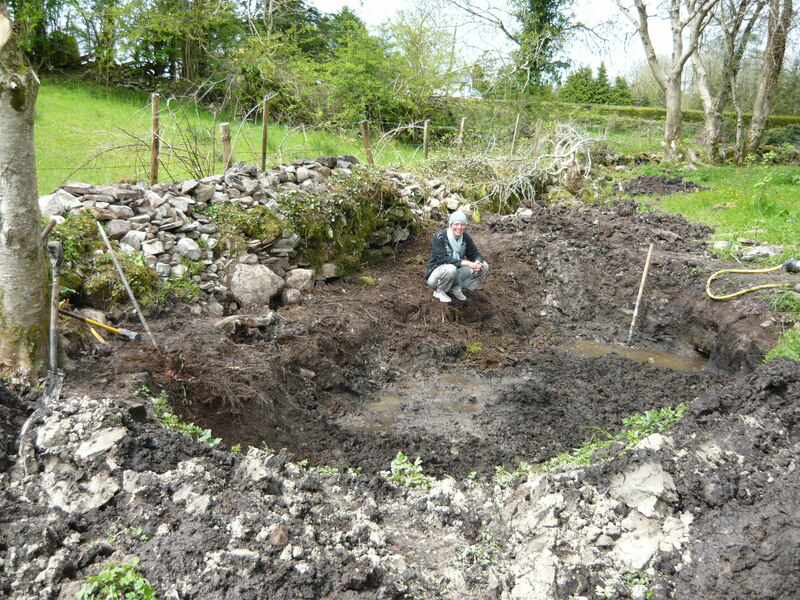 Building a wild life pond. 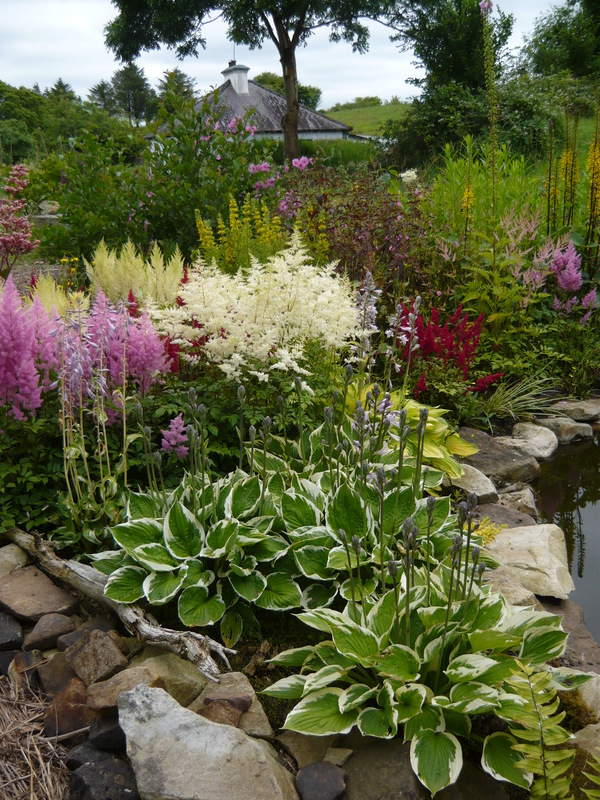 FA pond adds beauty, biodiversity and a great feeling of tranquillity to any garden. We always knew we wanted one. 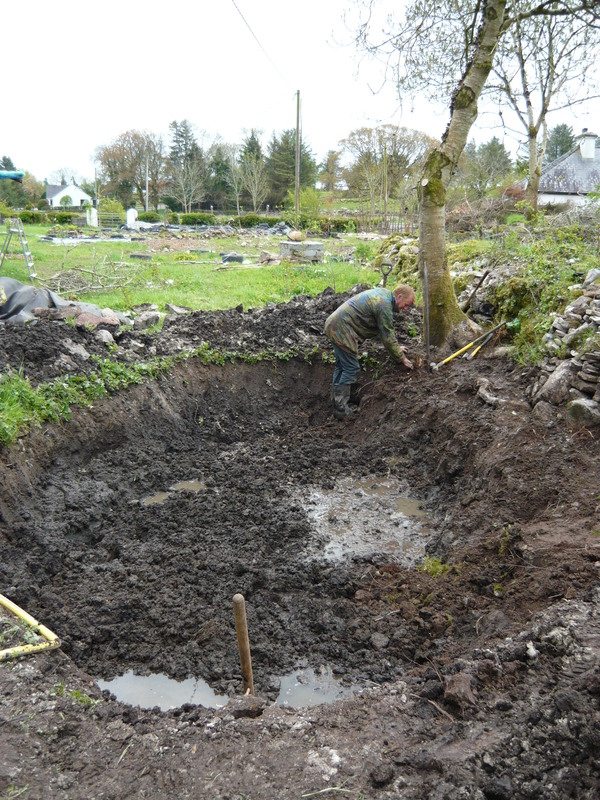 Our work commenced in the spring of 2013, with digging. 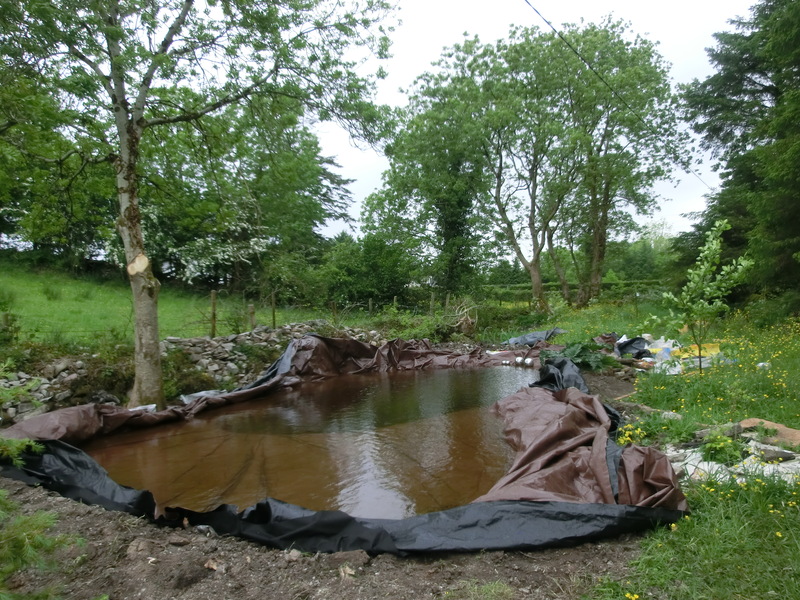 It is good to site a pond away from trees as the leaves will fall into it, fouling the water. We made the mistake and had to cut down an Ash tree. It was sad but we have planted a couple of hundred trees now so we have somewhat made up for the damage caused.Some shade is good at least for part of the day. 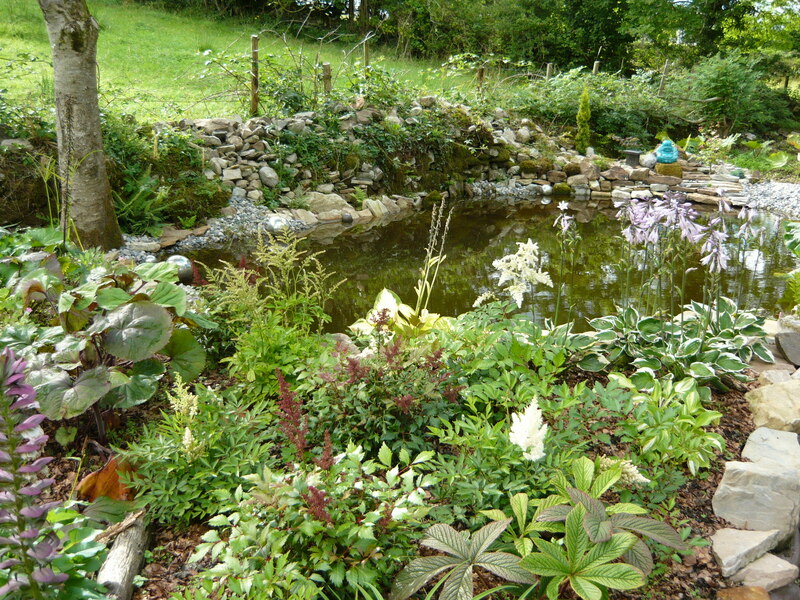 It is also good to make the pond as large as possible as it will help in creating a clear healthy environment. 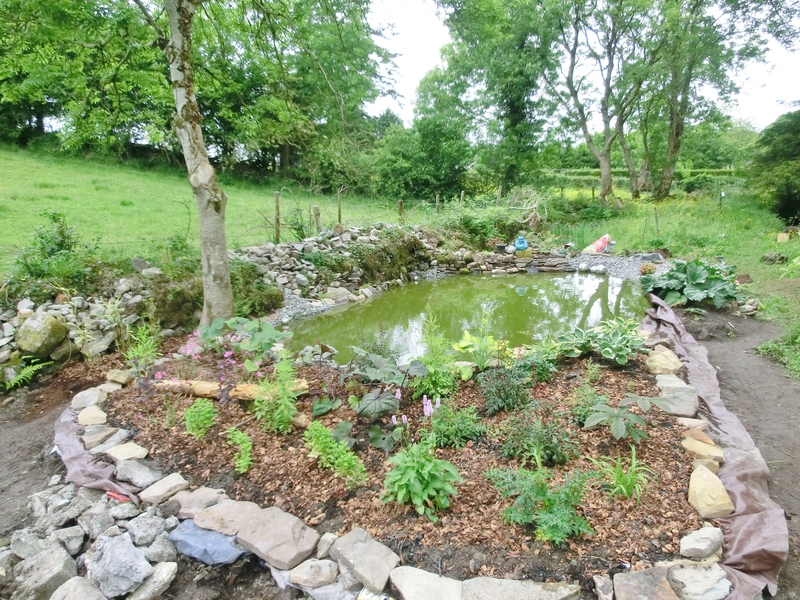 For a wildlife pond you need at least one side of it to be a gentle slope, where wildlife can have easy access in and out of the water. It is also good to have some different shelves and levels under the water for plants and animals. The pond-liner we used is made from Polyex and comes from Bradshaws Direct in the UK. When used with an underlay it is guaranteed for 35 years. 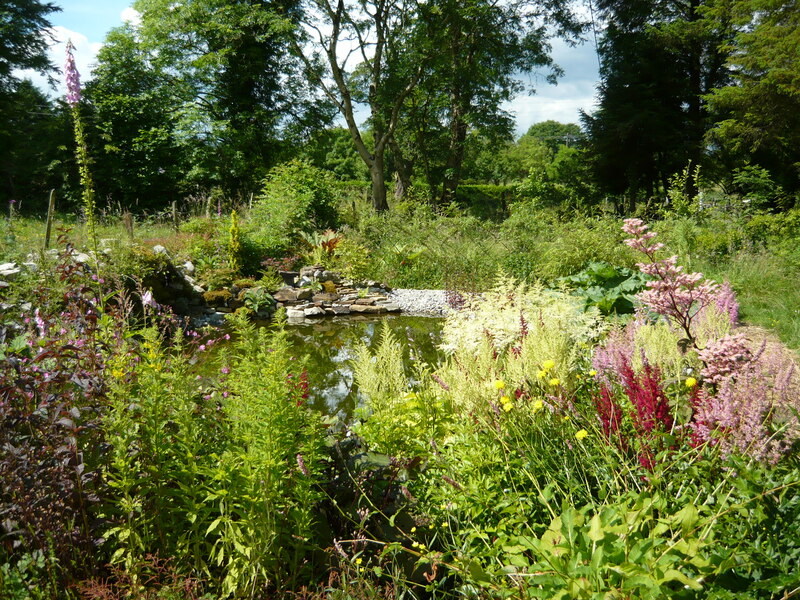 We also wanted a bog garden and you can see it here in this photo, as the lighter shallower part. To prevent the soil in the bog garden part from entering the pond we built a small stone wall, separating the two. We filled the bog garden part with a mix of moss peat, manure, compost and garden soil and planted it up with water-loving marginal plants. We built up the edges under the liner all the way around the pond and bog garden with small stones and soil to give it an even edge. It is important to check your levels before you start digging as the ground needs to be relatively flat for the water to stay in. We then covered the edge of the liner with a small stone wall and in one part a pebbled beach, great for small creatures and larger ones too, like hedgehogs, coming for a drink. 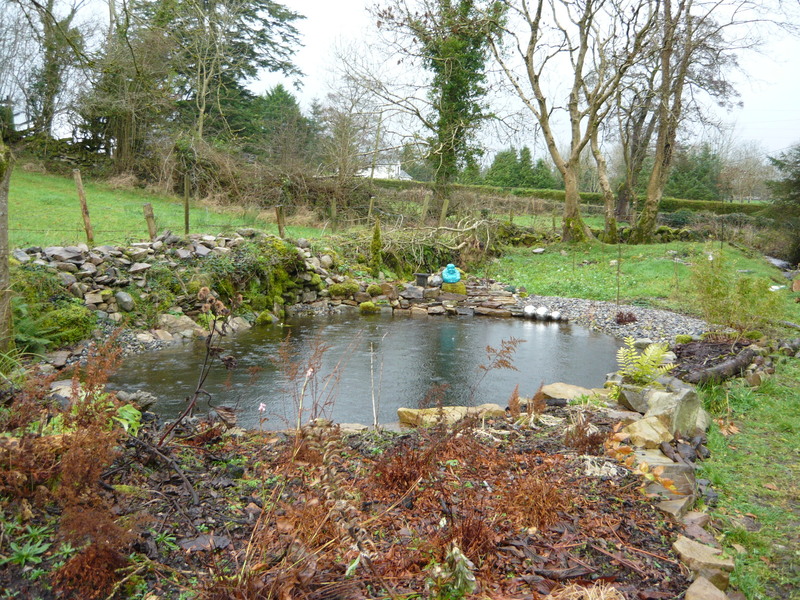 We filled the pond in June 2013 partly with water from a stream in our garden and partly with rain water. It was to late for frogs, toads and newts to spawn that year but some of them moved in to the area surrounding the pond. In 2014 we had hundreds of little frogs hatching as well as a good number of newts. We hope they will be a great help in keeping the number of snails and slugs in the garden under control. Water beetles, whirligig beetles and many other creatures now inhabit our pond and it is a very beautiful place to sit and observe all the wild life. The first picture below is from Winter 2014 and the following from Summer 2014. You can see how much these plants love having their roots in water.